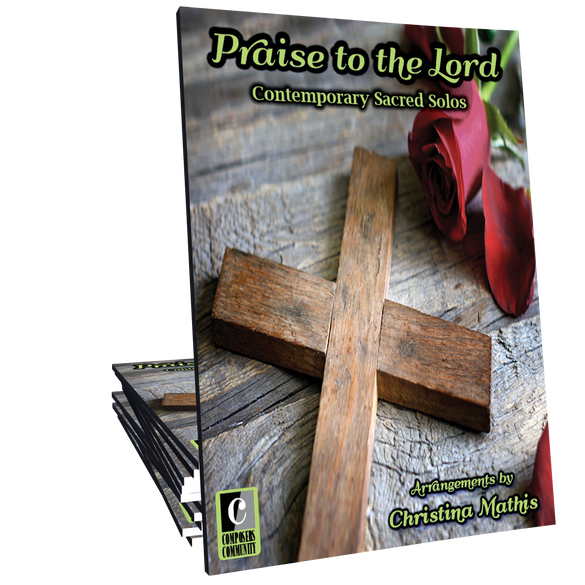 Praise to the Lord is a collection of virtuosic sacred solos arranged by Christina Mathis. Whether for church offertories, recitals, or casual enjoyment, these showcase-style arrangements will delight your fingers and audiences! The hymn arrangements in this book are well thought out, insightful and inspiring. Each one captures the meaning of the lyrics beautifully, sometimes in a very unique way that makes a well loved hymn feel brand new. A joy to play!